I have been working in sales for over 40 years and during that time many things have happend which have changed the way we approach sales, mostly for the better it as to be said. However, one thing that hasn’t changed much during all that time is the immovable barrier between you and the person you want to speak to, the gatekeeper if you will. For may senior executives the gatekeeper is a necessary evil, decision makers just don’t have the time to speak to every sales person who calls and the gatekeeper is an effective filter. Find a way past the gatekeeper and you’re already in a better place, because not every sales person can find a way to do this, and if you can, there’s a good chance you’ll be heard above the noise. To overcome this age old challenge, I like to use a ‘Trojan Horse’. 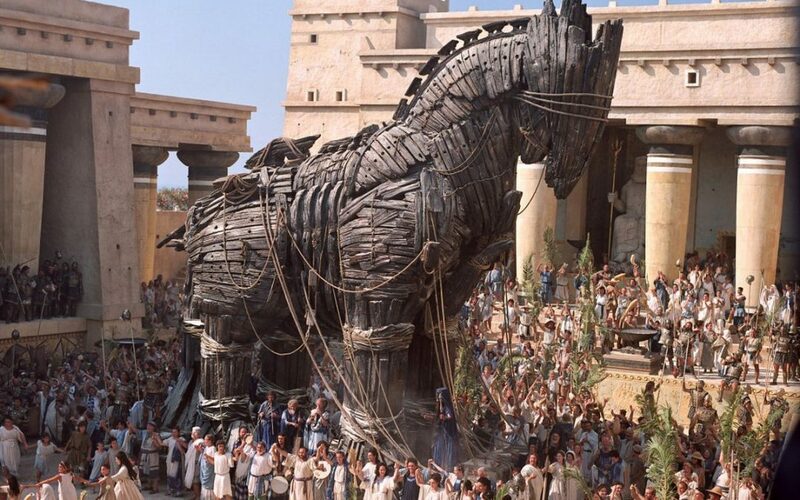 Mythology tells of a strategy used by the ancient Greeks, who unable to penetrate the gates of Troy during a siege which lasted for 12 long years, they appeared to give up the fight, withdraw and head back home leaving behind a giant effigy of a horse, an animal revered and worshiped by the residents of Troy. The gatekeepers, unaware of it’s hidden cargo, opened the gates and with all pomp and ceremony brought the horse inside. Secure inside the city with the gatekeepers now off guard, in the dark of night the Greek soldiers who had been concealed inside were able to open the gates from within and allow the reassembled army to take the city. The role of the sales Trojan is likewise to bypass the gatekeeper and to and gain an audience with the decision maker. This is one of the key lessons taught during our sales workshops, and it demonstrates how to be heard above the noise and to catch the favourable attention of the business owner. In practice the use of the Trojan will signifficantly improve the conversation rate of calls to meetings, and who wouldn’t want to enjoy that? If you’d like to find out more, best get in touch and find out how.